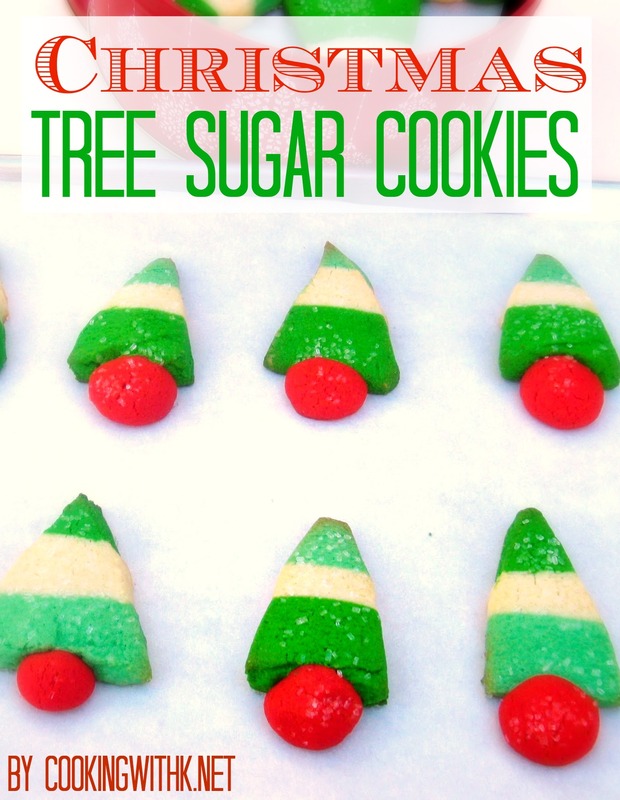 Christmas Tree Sugar Cookies, using your favorite sugar cookie recipe and create the cutest Christmas Tree treats for your cookie trays. These are the cutest little Christmas Tree Cookies. I decided to make a simple Basic Cookie Dough Recipe. The recipe or you might say the concept is so friendly. Why buy the packaged refrigerator dough when you make your own. When company drops in, or you need a quick treat to take somewhere, you have it covered. I cut out half of the dough for our Church Life Group last night and wrapped up the remainder of the dough to make later. 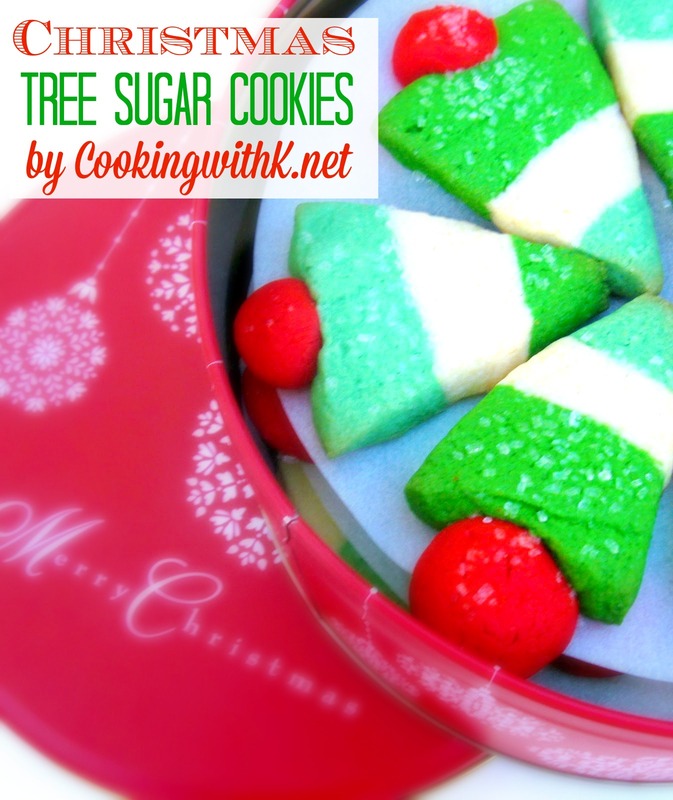 Using your favorite sugar cookie recipe and create the cutest Christmas Tree treats for your cookie trays. In the bowl of an electric mixer fitted with the paddle attachment mix the butter and sugar together until fluffy, approximately 3 minutes. Add the egg and vanilla. Mix well on low speed. In a medium bowl whisk together the flour and salt. Add to the butter and egg mixture. Mix on low until speed until well combined. Cut 1 cup of dough from the mixture. Mix with red food coloring until the desired red color is reached; set aside. Divide the remainder of the dough into 2/3 and 1/3. Mix green food coloring into 2/3 dough until the desired green color is reached. Leave the 1/3 dough natural. Cut the green 2/3 dough in half. Roll 1/3 green dough into a rectangle 6"x10" and place into a 7"x 11" baking dish lined with wax paper with ends hanging over the edge. Roll the 1/3 natural dough into 6"x10" rectangle and place on top of the green layer. Roll the remainder 1/3 green dough into a 6"x10" rectangle and place on top of the 1/3 natural dough. Press dough down to meet the sides of the dish. Chill the dough for 2 hours. Lift the dough layers out of the baking dish using the wax paper hanging over the edge. Slice the dough 1/2 inch through all three layers of dough lengthwise forming a striped strip of dough. Starting at the end cut triangles back and forth to the end of the dough. Pinch a portion of the red dough, approximately a tablespoon and place next to the dough on the long end of the triangle forming a Christmas tree effect. Place the Christmas tree formed dough on a cookie sheet lined with parchment paper. Sprinkle coarse sugar over the cookie dough before baking. Bake in a 350 degree F oven until set but not brown, approximately 8-10 minutes. Let the cookies cool slightly on the baking sheet before moving them to a cooling rack. 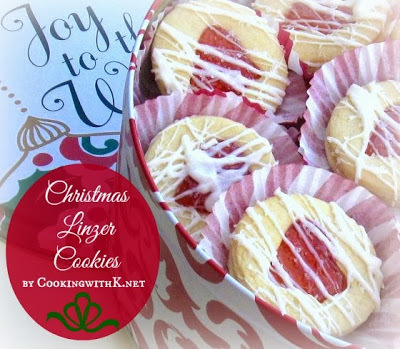 Hi Kay - I'm so happy to meet you and am very happy that you liked these little Christmas tree cookies. They are a holiday favorite in my house. And thank you so much for the link back to my blog. Happiest holiday best wishes to you and your family. Merry Christmas! I love sugar cookies! I think they are my very favorite. These trees are too cute with the different shades of green. Thanks for sharing at the Fill The Cookie Jar group. I am enjoying Fill the Cookie Jar…so many great cookies! 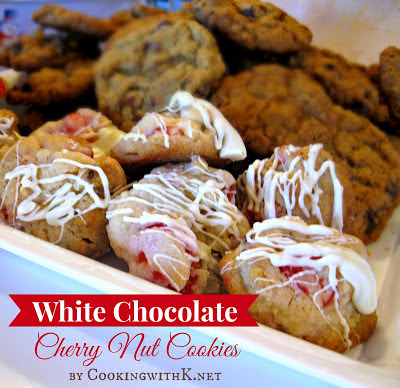 These are amazing to make…and make a lot!